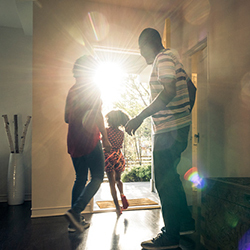 When you're at risk of losing your home, we can provide mediation and advocacy, help you organize your finances, and access the resources you need. If you’re an income eligible Boston homeowner or tenant who’s struggling to remain in your home, housing, contact us. With so many of our neighbors struggling to find and remain in affordable housing, we’re here to help if your family is living in a shelter or you’re close to losing your home or apartment because you’ve had trouble paying your bills. Our goal is to help you avoid eviction or foreclosure and, if needed, to discuss how to manage housing expenses. We’ll explain your legal rights and responsibilities while demonstrating ways to prevent eviction and foreclosure through smart budgeting, wise mortgage shopping and the avoidance of fraudulent financing operations looking to take advantage of your temporary troubles. We’ll point you to other services within ABCD and local government and community organizations that will assist and support your efforts to get out of debt and remain in an affordable home. ABCD’s Foreclosure Prevention Services are not part of our Department of Housing and Homelessness Prevention and are offered only through our Mattapan Family Service Center.